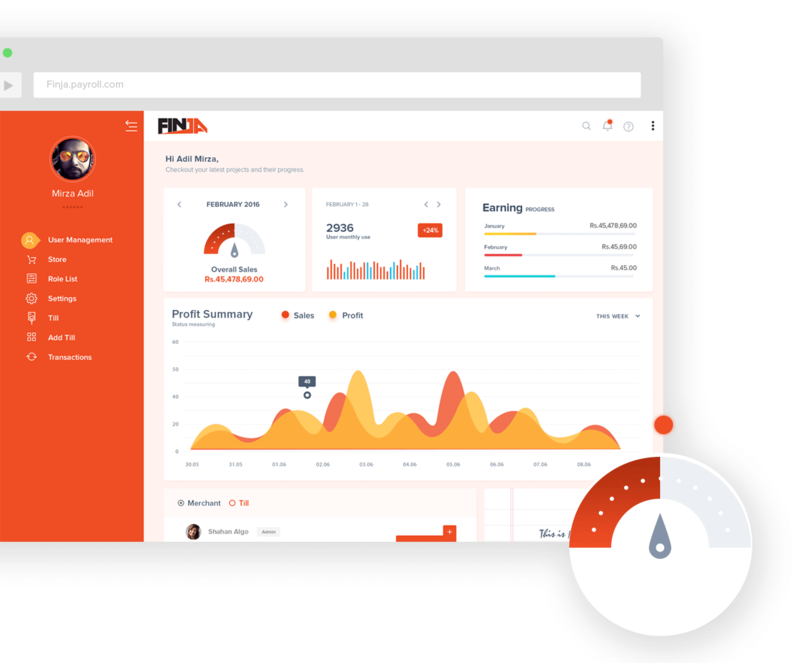 FINJA is a zero cost payment platform with an integrated loan and E-Commerce market place, founded by veterans of tech and banking industry. A Pakistani fintech with a mission to make payments free, frictionless and real time. Under-a-minute account opening, connected to entire banking universe with phone number as your account number. 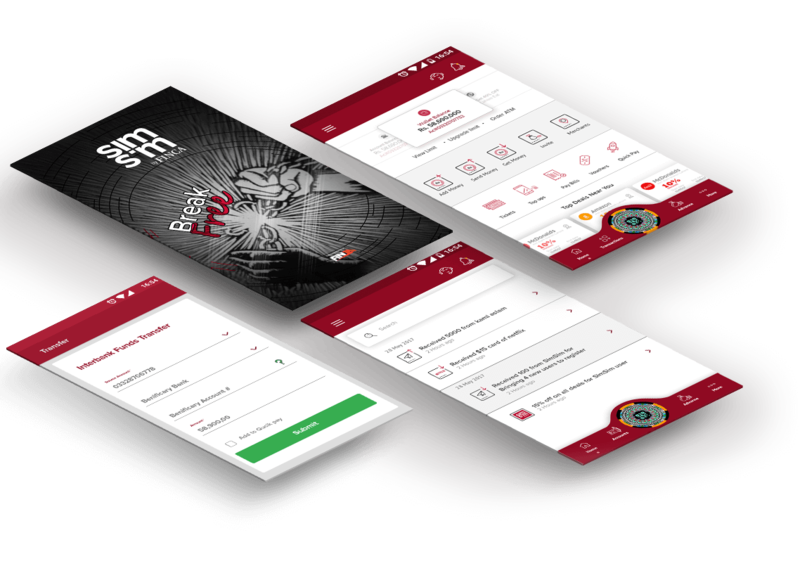 A CRM solution where businesses can instantly receive digital payments through QRs on zero MDR with no setup cost. 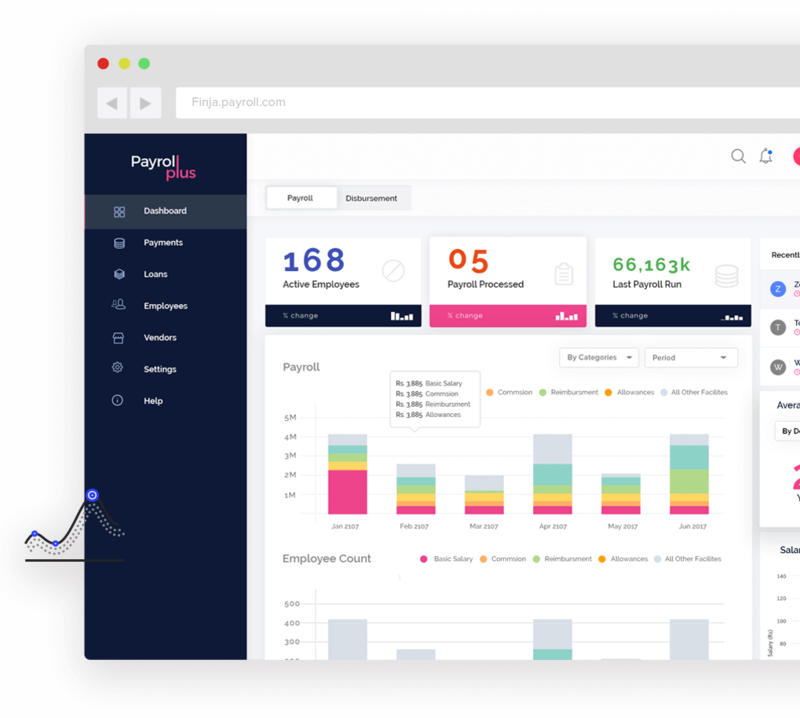 Zero-cost cloud based payroll solution and third party payment automation system, supported through mobile wallet fund disbursements. Free digital payments become a surrogate for lending to SMEs, merchants and individuals. APIs for 3rd party entities to integrate with the Finja wallet and be a part of a compelling sales channel with a nationwide reach. SimSim is Pakistan’s first payment solution offering free, frictionless and real-time payments. SimSim empowers you by providing a payment solution which not only allows you to make zero cost transactions but also enables you to create your own payment ecosystem. With SimSim, you are able to move money anytime, anywhere and take control of your life like never before. You are no longer confined to paper or plastic. With SimSim, you break free from all the old world chains and enter a new world of free digital payments. As part of SimSim network, you will be leading the charge to set payments free in Pakistan. Spread the movement by inviting your friends, family and colleagues to adopt digital payments to ensure all your loved ones are always connected. Payroll plus provides a well rounded solution to manage your company's structure and employees for hassle free salary disbursements. Manage your company account while tracking your settlements and account balances. Convenient management of complete salary breakup including, basic salary, reimbursements, commissions and TADAs etc. Instant acceptance of payments through static and dynamic QR codes. Set up your account and start receiving digital payments today. You can send customized promotion notifications to your customers and can increase their loyalty towards your brand via push promotion feature.